For a new entrepreneur with little or no knowledge, it is quite a difficult time in selecting the hosting service. As almost all claim to be the best and cheapest hosting service provider. The question is, whether their hosting service is worth the cost? It might and might not be depending on case. But the real question is, is it wise to spend so much money on a website? Setting a website with good hosting service may cost few dollars to million dollars depending on your website and use. 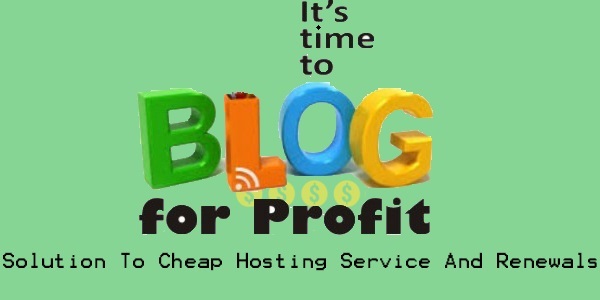 If you are a new blogger, shop owner, team, group or anything that won’t attract much traffic, then buying an expensive hosting service is just a waste of money for you. Beginning of an entrepreneurship is the most difficult time, and every penny counts, so one has to spend wisely. As Robert Tew said, “The Struggle you are in today is developing the strength you need for tomorrow”. With little budget as low as 3 dollars you can buy your own domain name .com, .org, .net and link it with any free hosting service. This will work as long as you don’t have heavy traffic, but you will have to bear one small ad by few hosting service provider. You will have www.yourwebsite.com, www.yourwebsite.org or www.yourwebsite.net depending on the domain you bought. It’s a great option as no one will figure that you are using a free hosting service. As your business grow you can move to other options. If you don’t want any ads on your website then you will have to invest a little. Search for coupons, every hosting service provides coupons. If you are lucky enough you can find a coupon that will give you 90% discount or more. Here is one coupon provided by iPage. Using this will allow you to buy their basic hosting, i.e. shared hosting unless you are an expert with heavy traffic, downloads and stuff. You want to start your new business with shared hosting service and all this for just 12 dollars for the first year. Remember these features varies depending upon your hosting service provider and their plan you go for. It’s a way better option than buying any hosting service by local resellers. Don’t let them fool you with their price twice as much along with restricted access, with very little bandwidth and disk space, when you can have all these features by a well reputed hosting service provider. Online advertisement, marketing and display is near to compulsory in business. So don’t let your budget hinder your success. Start your own business website with cheap hosting service to display your products and reach out the world for just $ 12 (for the first year). Online advertisement, marketing and display is near to compulsory in business. So don’t let your budget hinder your success. Start your own business website with cheap hosting service to display your products and reach out the world for just $ 12 (for the first year). Do let me know if you need another coupon or if this is not working, I would love to help you develop your own website in the cheapest possible way.